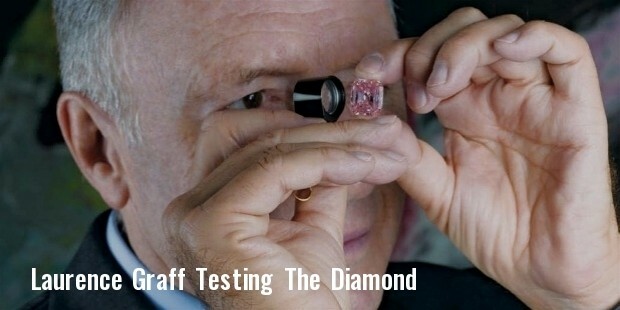 Laurence Graff is often called the King of diamonds or the new Harry Winston. The self made London resident has bought and sold some of the most illustrious stones in the world. Laurence Graff was in 1938 in London’s East End. He was born in a Jewish family. His father was from Russia and his mother was Romanian. He has a younger brother Raymond, born in 1947. Graff left school at the age of 15 to work as an apprentice jeweller. For the first few months he was not given any work related to jewellery. His work consisted of scrubbing the floors, cleaning the bathrooms and occasionally running errands. He left the job soon after and began his apprenticeship with another jeweller. He learnt how to repair and clean jewellery, craft small pieces and soon completed his period as an apprentice. It was a poor time in England and the people did not have much money to spend of jewellery, they preferred to remodel old jewellery rather than purchasing new ones. Graff learnt how to make an old piece of jewellery sparkle once more. As fortune would have it the shop went bankrupt not long after he had completed his apprenticeship. He then began selling his own jewellery designs to, as an independent entity, jewellers all over England. Undaunted and blessed with a great desire for success he opened his own shop. He procured contracts for repairing and polishing jewellery and in his free time he designed and crafted his own pieces of artistic jewellery which resembled the bygone Victorian era jewellery. His pieces became fairly well-known in England. In 1960 he established the Graff Diamonds Company in Hatton Garden, the centre of the English jewel trade since the medieval age. His business soon started to expand and by 1962 he opened two more shops. His company became famous and soon he had clients all over the world, especially from the Middle East. 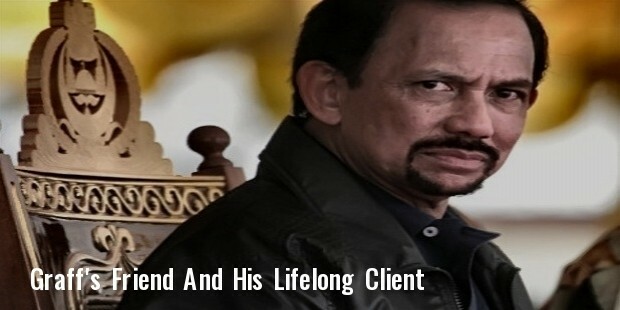 The most notable among them was the Sultan of Brunei Hassaanal Bolkiah, who later became Graff’s friend and his lifelong client. Graff recalls how one day Prince Turki bin Abdul Aziz visited the shop and purchased everything that was available including a 14 carat diamond ring. His other celebrity clients include Elizabeth Taylor, Oprah Winfrey, Donald Trump and Larry Ellison. Other than the Graff Diamond Company Laurence Graff’s assents include real estate in London’s Mayfair District, a polished diamond trade business in Switzerland and a diamond mine outside the city of Johannesburg, South Africa. He also owns Delaire Graff Estate, a winery and vineyard in Stellenbosch in South Africa. 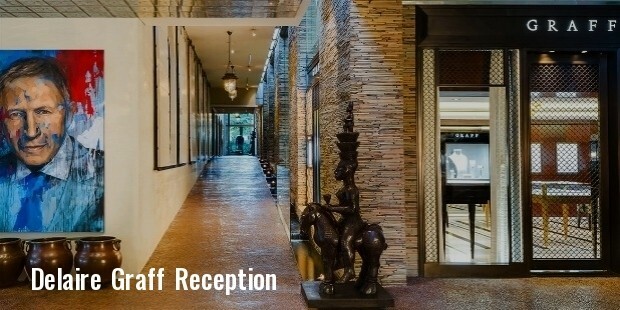 He has a passion for collecting modern and contemporary art and is always vigilant to expand his already extensive collection. His second passion is the collection of vintage automobiles, preferably Ferraris, Mercedes and Aston Martins. 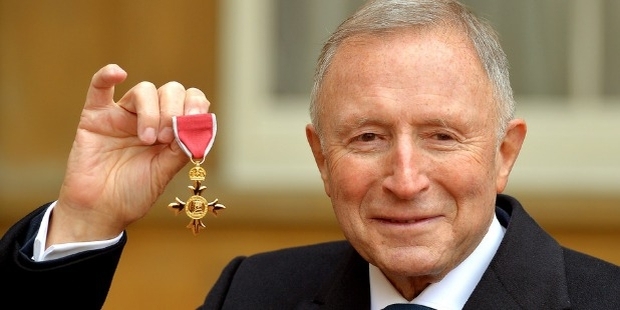 He was appointed as an Officer of the Order of the British Empire by Queen Elizabeth in 2013 in recognition for his services to the jewellery industry. In 2008 he had purchased the renowned Wittelsbach Diamond, once part of the Bavarian Crown Jewels. After two years he announced that he had improved the colour and the clarity of the diamond by cutting and polishing it once more. 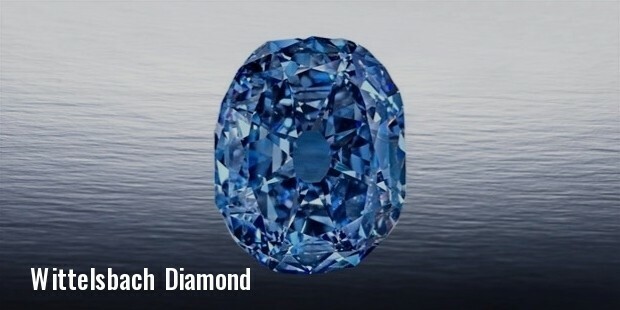 The diamond was then renamed as the Wittelsbach-Graff Diamond, critics have compared this with an attempt to make the Mona Lisa prettier. With a net worth of $5 billion Laurence Graff is one the wealthiest jewellers in England as well the world.